blogging Archives - Do You Speak Gossip?Do You Speak Gossip? Oh my, 7 years of blogging, how fast the time went by? It feels like yesterday that I started this little blog of mine. 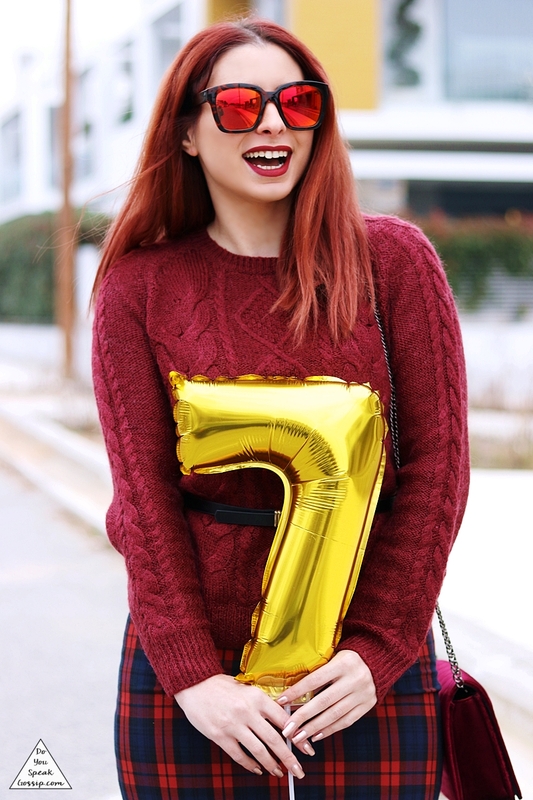 I couldn’t celebrate my blog’s birthday in another way than an outfit post, could I? Here it is, and a festive outfit post I might add. With a balloon and everything. haha This year we decided against a bigger helium-filled balloon, because it was a total fail, ’cause the helium made the balloon look deflated in last year’s photos, because of the cold weather and we didn’t want to repeat that. So here’s a smaller and cuter one instead. I built the whole outfit around burgundy color, and I really loved how it turned out. It looked even better in real life believe me! I’m definitely going to wear it again for a night out with friends or the boyfriend. 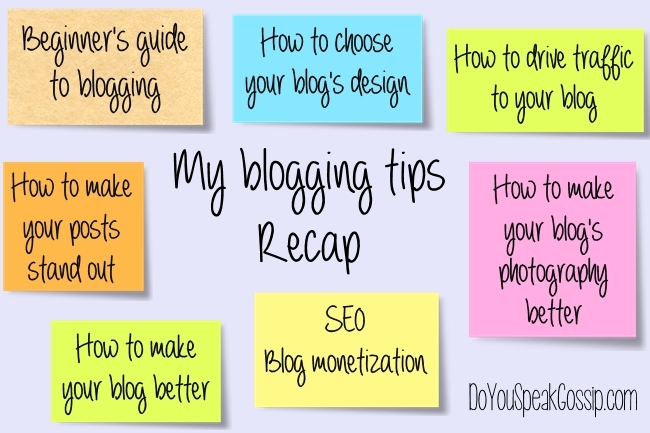 If you’ve been reading this blog for a while, you probably have already seen all my blogging tips posts, and you may remember that on the previous one I announced that it probably going to be the last one of this series of posts. But I wanted to do a recap to put all these posts together, in case someone who hasn’t already read them is interested in reading them now. I believe it’s a really good reading material for us bloggers, and it’s a series of posts that every blogger should read. And I’m not only talking about my posts, but also about the posts I’ve linked under each part. So what have we talked about so far? 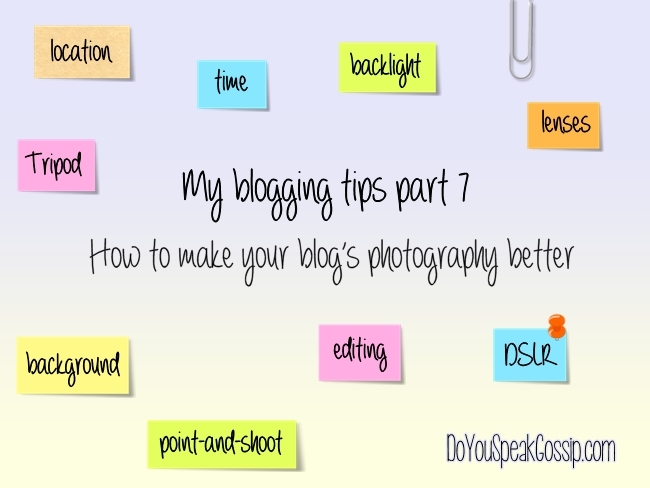 I’m finally back with the 7th and (probably) last part of our blogging tips. I’m really happy about this column and how much you all loved it, judging from the comments and the emails we received (me and T. – as this was a collaboration post between the 2 of us from the beginning). Today, we’re sharing with you our tips on how to make your blog’s photography better: From what you need to know before taking a photo to how to share it on your blog. 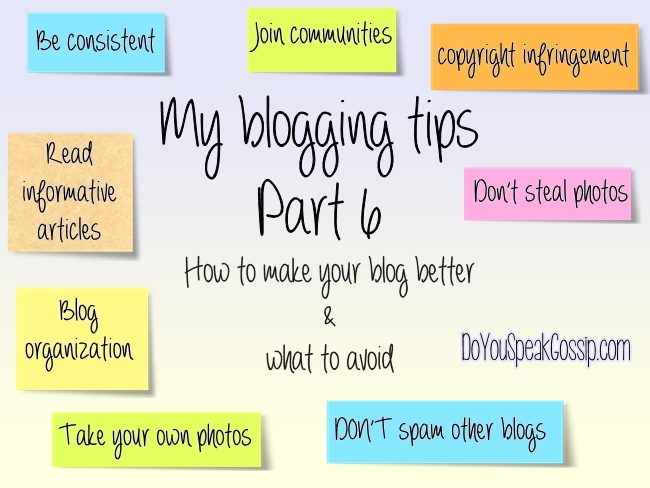 Hello everyone and welcome to the 6th part of our blogging tips. If you’ve already read all the previous ones, you can continue to this one, with general tips on how to make your blog better, and what you should avoid doing (Για να διαβάσετε αυτό το άρθρο στα ελληνικά πατήστε εκεί που λέει: Language: Greek). 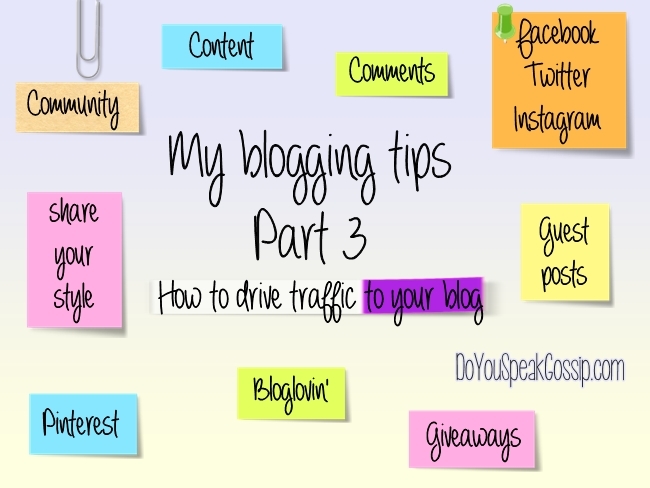 Welcome to the 3rd part of my blogging tips! As you may have read on the previous parts (if you haven’t, click here for the 1st part, and here for the 2nd one), we’ve talked about some basic blogging guidelines, like what you should know when starting a blog, and how to choose your blog’s design. Today, we’ll discuss some of the basic ways to drive traffic to your blog.